I knew this stamp set was going to be fun. Finally an Aussie themed stamp set I can play with! Yay! Smoky Slate is the perfect koala colour IMO. I stamped 'him' on the cardstock with Stazon and just cut him out. I love 'fussy cutting'. Much easier than colouring sometimes. I used Basic Grey for a little added depth and Daffodil Delight to add a pop of colour. 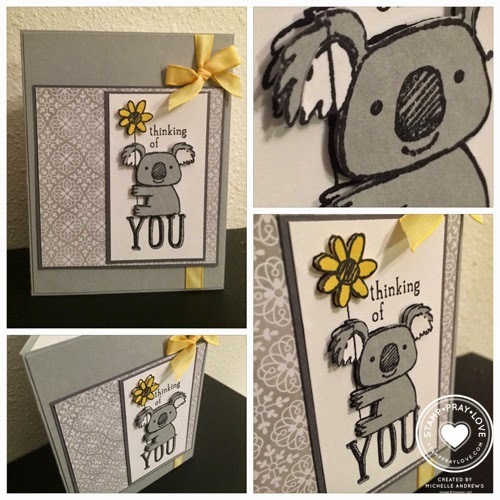 The koala is popped up with Dimensionals to help him stand out a bit. He is just too cute!